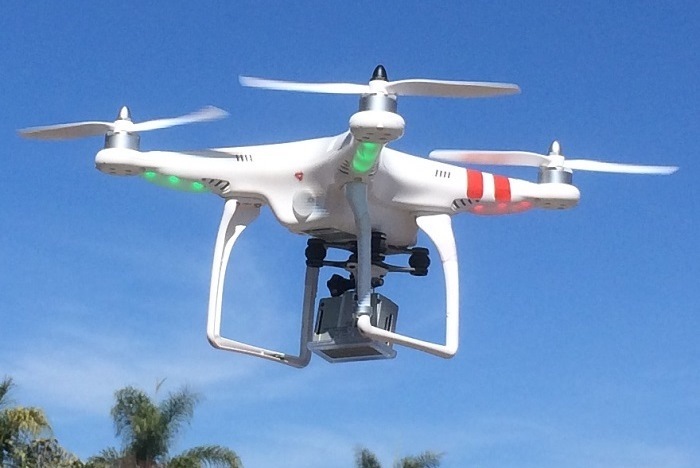 New ways to get up in the air for aerial videos and photography. It is not always practical to charter an airplane or helicopter in order to take some aerial photographs of the community or some properties for sale. But some new and sophisticated drone technology is becoming an inexpensive and easy way to get up above a property for some exciting aerial and video photogaphy. Here are some examples from some of my current and recent projects. Called a "Quad", it is a small sophisticated flying vehicle with camera. Click here to FLYOVER the grounds of this upgraded home in Bernardo Hills. Click here to FLYOVER this view home in Seven Oaks. Click here to FLYOVER the panoramic views behind 11918 Avenida Consentido. Click here to FLYOVER this upgraded view home at Del Lago on the Greens. Click here to FLYOVER this upgraded view home in Seven Oaks. Click here to FLYOVER this upgraded townhome. Click here to FLYOVER this expanded view home in Seven Oaks. Click here to FLYOVER this custom home overlooking the Oaks North Golf Course. Click here to FLYOVER the parks and schools behind this upgraded home. Click here for a FLYOVER of the original Golf Course Sales Office in Oaks North. Click here to FLYOVER the pool and tennis court at this Lomas Bernardo condo. Click here to FLYOVER this Summerfield neighborhood in North Poway. Click here to FLYOVER this Architect's Custom Home in North Poway. Click here to FLYOVER this large Ranch Home with Pool in North Poway. Click here to see a FLYOVER with the golf course behind this single-story home. Click here to see a short aerial video of this exquisite custom home. Click here to FLYOVER the Natural Open Space with Views at Turtleback Lane. Click here to FLYOVER the spectacular views behind Chretien Ct in Eastview. Click here to FLYOVER the panoramic views behind Avenida Consentido. Click here to FLYOVER the 17th fairway at the Bernardo Heights Golf Course. Click here for a video flyover showing the Marbella Greenbelt. Click here for a video flyover showing the outdoor facilities. Are you planning to list your home for sale? Call George Cooke at 858-674-1222 and ask how an aerial video can enhance the marketing of your home.